Want to see all the technologies used by 1to1media.com? 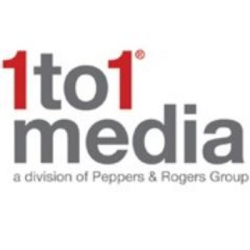 1to1® Media is THE online destination for customer strategy resources to help organizations optimize their customer experience and realize the greatest value from their customers. 1to1 Media provides resources including in-depth articles, infographics, blogs, webinars, and whitepapers that help senior executives to drive change and make customer-based initiatives the centerpiece of their strategies. 1to1 Media's Weekly Digest delivers best practices, trends, and articles that highlight customer-focused initiatives to drive bottom-line impact. 1to1 Media's annual awards programs, The Gartner & 1to1 Media CRM Excellence Awards and the 1to1 Media Customer Champions, highlight excellence among organizations and individuals that take a customer-centric approach to improving their business. For a quick look at additional technographic info on 1to1media.com or any domain on the web, download our Chrome Extension. Check out our help article to see how Datanyze Insider can help you.